Spread out over 84 lush landscaped acres, Aston at Poipu Kai consists of five distinct condominium communities, each with its own unique character. Each community has its own pool and includes accommodations ranging from one to three-bedroom suites, as well as three and four-bedroom private homes. 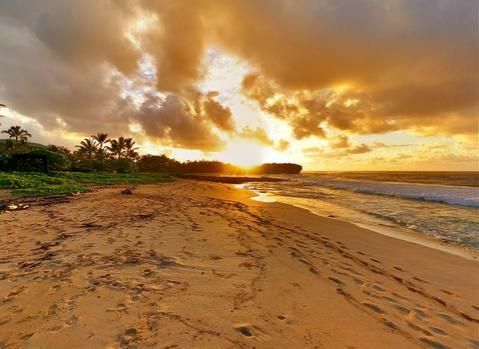 The property’s location on Poipu beach makes it ideal for a wide range of watersports, as well as a base for exploring Kauai. Unwind with peaceful views of our tropical gardens. This suite features two bedrooms with a separate living area, full kitchen, washer/dryer, private lanai, and WiFi internet access. The property has a nightly resort charge which will be collected upon check in. The pictures on this listing are representative of the quality of the unit and it's furnishings. Actual unit is assigned at check. While we cannot guarantee a specific floor, view or location, we will forward your request to the property. They will try their best to fulfill your request based on availability when you arrive. We have combined our most useful services under an $18 daily amenity fee. Please enjoy the following during your stay with us: - In-room Internet access - In-room PlayStation®3 Blu Ray console to play DVD movies and games from unlimited access DVDNow kiosk located in the lobby area - Daily in-room coffee and tea - Daily newspaper - In-room safe usage - Local and toll-free calls OTHER THINGS TO KNOW - No Smoking - Check in 4:00 pm - Check out 11:00 am - No Pets Allowed Rates subject to change. Click "Book it Now" for rates and availability. Reservations cancelled less than 5 days prior to arrival will incur a 2 night charge. Reservations cancelled 5 days or more before the arrival date will incur a $25 cancellation fee. Reservations are non-refundable after thereafter. Exceptions: For The Residences at Waikiki Beach Tower, reservations cancelled less than 10 days prior to arrival will incur a 2 night charge. Reservations cancelled 10 days or more before the arrival date will incur a $25 cancellation fee. Reservations are non-refundable after thereafter. For Tuscana Resort by Aston, and The Fountains at Champions Gate; reservations cancelled less than 5 days prior to arrival will incur a full stay charge. For reservations arriving between 26Dec-3Jan any cancellations within 30 days of arrival date will be assessed a TWO (2) night cancellation charge. Reservations cancelled 30 days or more before the arrival date will incur a $25 cancellation fee. Exceptions: For Tuscana Resort by Aston, and The Fountains at Champions Gate; reservations arriving 22Dec-3Jan cancelations within 14 days prior to arrival will incur a full stay charge. Reservations cancelled 14 days or more before the arrival date will incur a $25 cancellation fee. For Aston Kona by the Sea, reservations arriving between 26Dec-3Jan and 6Oct-15Oct cancellations within 30 days of arrival date will be assessed a TWO (2) night cancellation charge. Reservations cancelled 30 days or more before the arrival date will incur a $25 cancellation fee.